Statue of Liberty Dollar Platinum & Gold Coin Necklace , US Dollar accented with platinum & 24K gold in a sterling silver screwtop bezel with durable 20" sterling silver chain, Lenscote protected. 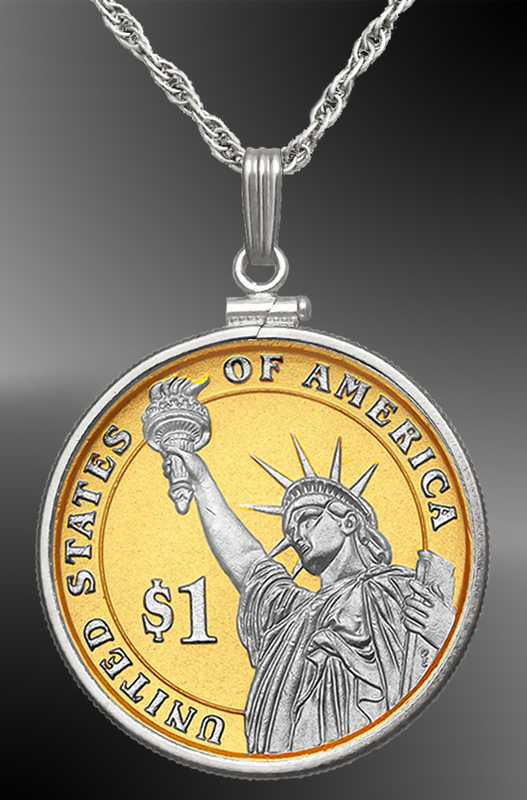 Statue of Liberty Dollar Platinum & Gold Coin Necklace. 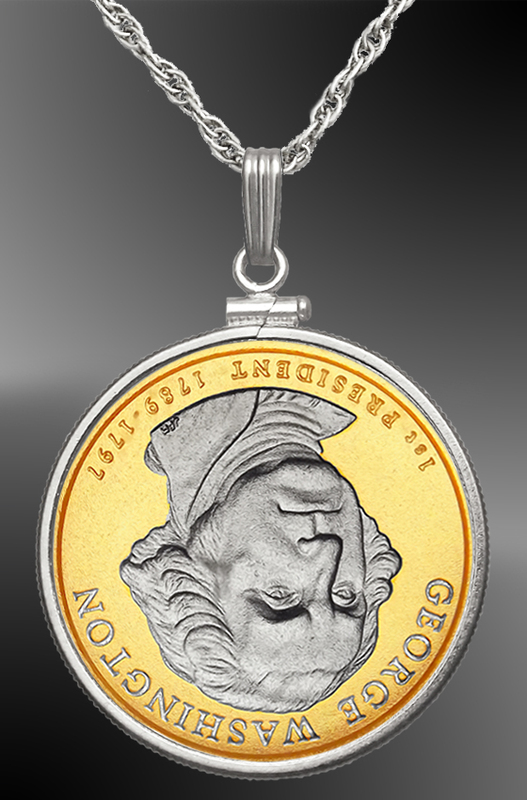 The Statue of Liberty reverse of the new presidential dollars is accented in platinum & 24K gold. The Washington portrait is also covered in platinum & 24K gold. The combination of real platinum highlights set on a background of 24K gold is a dramatic new version of Aurista's AureTone process. Mounted in a sterling silver screwtop bezel with durable 20" sterling silver chain, Lenscote protected for years of scratch-free beauty.